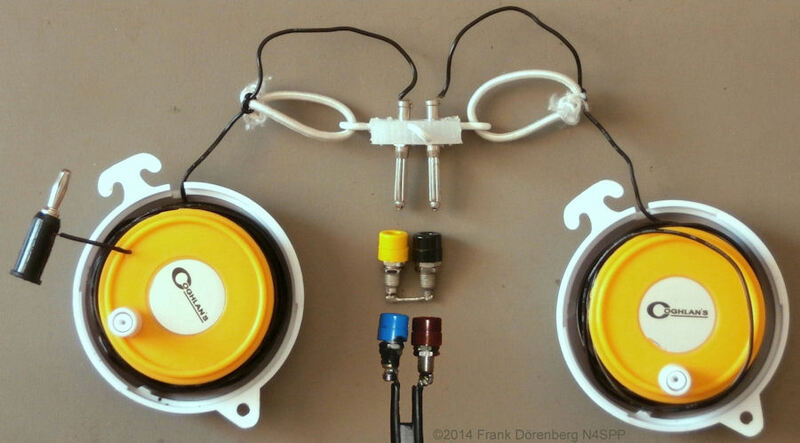 A "yo-yo" dipole antenna? Yes! Is it special? Not really! Is it new? Not really! My idea? Not at all! It is just a simple wire dipole that is easily stored, easily transportable, and easily deployed when away from home. A "yo-yo" (or "yoyo" if you prefer) is basically a simple spool with a string wound onto it. Very convenient for storing a string - or an antenna wire. When not in use, each of the dipole wires is wound onto a spool that looks like a "yo-yo". You unwind enough wire of each spool to make a dipole that has the correct length for the operating frequency of interest. Alternatively, you unwind the complete spool and use it with an antenna tuner/coupler as a non-resonant multi-band dipole. Where find such handy "yo-yo" spools? In a camping supply store (or the camping supply department of a sporting goods store). They are sold with thin clothesline string on it, and are not expensive. pre-assembled "yo-yo" dipoles are sold commercially, but - as usual - it is a lot cheaper to make one yourself. I used 2x13.4 m (2x44 ft) of thin insulated multi-strand wire. Fully unwound, this is long enough for a 0.5 λ dipole on 40 mtrs. It can also be made as short as a 0.5 λ dipole on 10 mtrs. And every band in between. Since the wire lengths are easily adjustable, one can also create Off-Center Fed (OCF, asymmetrical) dipoles to one's heart's content. As shown in the photos below, I used a small piece of polypropylene kitchen cutting board as the center insulator. 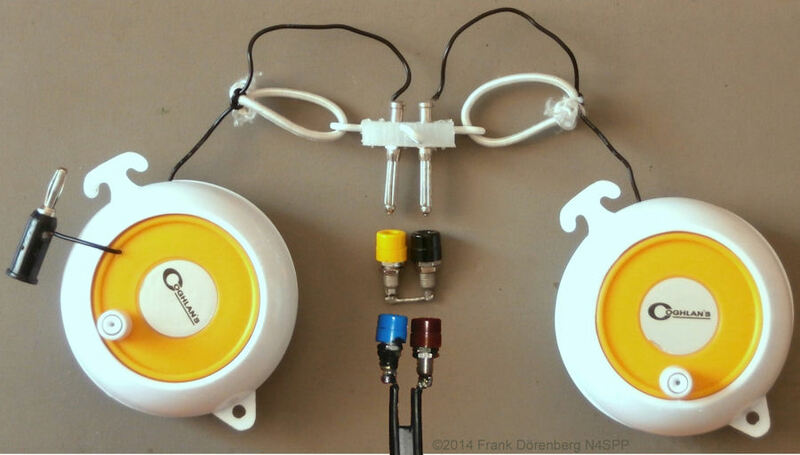 I use the dipole with 300 Ω twin-lead cable to a portable antenna tuner (an MFJ 945E). Small loops of thin bungee cord are used as strain relief / shock absorber. The photos also show a banana plug at the end of one of the two dipole legs, and a wire-bridge made of two small banana jacks. I added these to the standard "yo-yo" dipole, to be able to use it as a 27 m (88 ft) long-wire end-fed antenna.